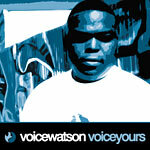 Voice Watson is about to blow up! His intelligent, soulful and pounding lyrics will surely make you think twice. The production is solid, hard-hitting and melodic. Every track is bangin' - straight up street anthems. This CD will surely excite underground and mainstream fans alike. Produced by: Twism, Am, Castro, G. Bautista & J. Bautista, Beatventriloquists. Executive production by: Very.